changes in the lens of the eye. of 6, and it does not affect side vision. takes longer and is often less effective. of the eye. As a result, vision becomes blurred at any distance. amounts cause distorted or blurred vision, eye discomfort and headaches. conditions like nearsightedness (myopia) and farsightedness (hyperopia). because they affect how the eyes bend or “refract” light. 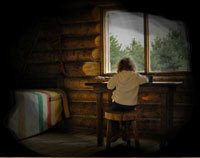 child grows and may decrease or worsen over time. astigmatism by altering the way light enters your eyes. the surface of the eye. out of focus at any distance. lens has a somewhat different curvature in one direction than another. vision to be out of focus at any distance. a corneal transplant is necessary. the power of any optical lenses needed to compensate for reduced vision. comfortable vision, and discuss options for treatment. includes a correction for nearsightedness in addition to astigmatism. only allow for correction of vision, but also enhance appearance. cleaning and care to safeguard eye health. 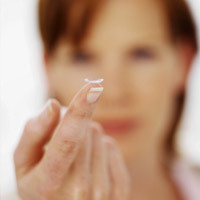 contact lenses to reshape the cornea, the front outer cover of the eye. outer corneal surface is cut and folded back to expose the inner tissue. edge of the eyelid where the eyelashes are attached. eyelid that comes in contact with the eyeball. that may be contributing to the eye problem. structure, skin texture and eyelash appearance. scales around the base of eyelashes and a mild redness of the eyelids. the lids clean and free of crusts. often recommended, as its use will make lid hygiene more difficult. 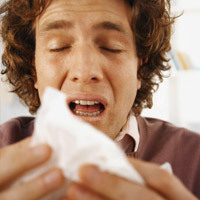 involving bacterial infection, an antibiotic may also be prescribed. may be prescribed in some cases. recommended, as its use will make lid hygiene more difficult. temporarily discontinue wearing them during treatment. successful treatment, relapses may occur. 5 minutes, reheating the washcloth as necessary. age 55, but they occasionally occur in infants and young children. of the lens occurs due to changes in the proteins and lens fibers. outer layer of the lens. This type often develops more rapidly. longer focus it properly, causing vision problems. to 50 years of age. of swelling in the eyelid. chalazion may occur as an after-effect of a sty. an indication of an infection or skin cancer. an inflammation of the eyelid. eyelashes and oil gland openings using bright light and magnification. minutes each day may also help to promote drainage. area clean and keep your hands away from your eyes. condition, but very few people are completely color blind. deficiency in your color perception. depends on how dark or light the colors are. Another form of color deficiency is blue-yellow. result from prolonged computer use. inner surface of the eyelid and covers the white part of the eye. sometimes it can develop into a more serious problem. less common causes of conjunctivitis. or have a glass eye. nose, tear ducts, and conjunctiva. Chlamydia or gonorrhea while passing through the birth canal. to which vision may be affected. tissue using bright light and magnification. ensure that no other tissues are affected by the condition. conjunctivitis or when the condition is not responding to treatment. 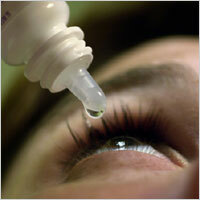 conjunctivitis may also require topical steroid eye drops. or ointments to eradicate the virus for this type of conjunctivitis. scarring, intraocular damage or even loss of the eye. advise you on the need for temporary restrictions on contact lens wear. 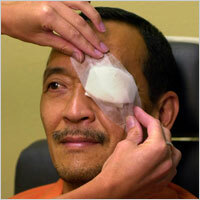 conjunctivitis by applying warm compresses to your affected eye or eyes. before applying it gently to your closed eyelids. rinse the allergen off of the surface of the eye. a tendency to drift outward when reading or doing close work. same place at the same time. See also Amblyopia. untreated, diabetic retinopathy can cause blindness. the lens and results in the development of symptoms of blurred vision. onset and progression of diabetic retinopathy. retinopathy, may also require surgical repair. high blood pressure and avoiding alcohol and smoking. microanuerysms to protrude from their walls. causing tiny bulges called microanuerysms to protrude from their walls. retinopathy can cause severe vision loss and even blindness. retinopathy, particularly if the diabetes is poorly controlled. 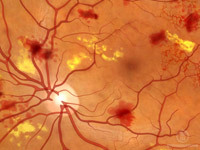 greater risk for developing diabetic retinopathy. it with a clearfluid to maintain the normal shape and health of the eye. often chronic problem, particularly in older adults. of the eyelids, which drain in the back of the nose. climates can also affect tear volume by increasing tear evaporation. too quickly from the eyes, symptoms of dry eye can develop. damage the front surface of the eye and impair vision. discomfort and to maintain eye health. The development of dry eyes can have many causes. antidepressants, can reduce the amount of tears produced in the eyes. turning of eyelids can cause dry eyes to develop. 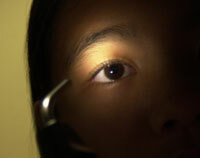 such as LASIK, can cause decreased tear production and dry eyes. surface of the eye caused by insufficient tears. eyes is adding tears using over-the-counter artificial tear solutions. used as often as needed to supplement natural tear production. optometrist, as well as omega-3 fatty acid nutritional supplements. help decrease inflammation around the surface of the eyes. staring at a computer screen for long periods of time. water (8 to 10 glasses) each day. curvature, so light entering your eye is not focused correctly. eyes, irritability or nervousness after sustained concentration. optometric examination will include testing for farsightedness. correct farsightedness by altering the way the light enters your eyes. which is the clear, jelly-like fluid that fills the inside of your eyes. and seem to dart away when you try to look at them directly. or other matter trapped during the formation of your eyes before birth. 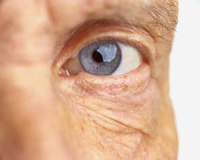 aging; or from certain eye diseases or injuries. Most spots are not harmful and rarely limit vision. sudden changes or see increases in them. may be, glaucoma will develop. that increase the pressure in the eyes. 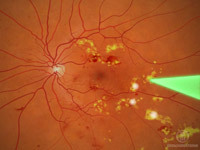 open-angle glaucoma, develops slowly and usually without any symptoms. immediately, as severe vision loss can occur quickly. develop when the eye’s drainage system becomes inefficient over time. vision loss within a day of its onset. pressure on the optic nerve may be enough to cause damage. 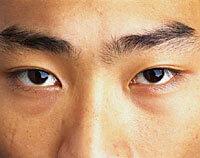 Japanese descent are more prone to low-tension glaucoma. history of glaucoma increases the risk of developing glaucoma. dislocate the lens, closing the drainage angle, and increasing pressure. for the development of glaucoma. routine comprehensive exams to monitor for change. and family history that may be contributing to the problem. 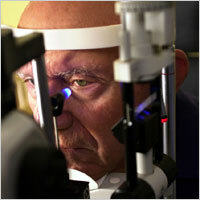 detect increased risk factors for glaucoma. with thinner corneas are at an increased risk of developing glaucoma. light, and comparing it to others of similar age. that might occur over time. areas of the nerve fiber layer for loss of tissue. and continuing treatment can preserve eyesight. patient is experiencing side-effects from the drops. medication is not sufficient, however it cannot reverse vision loss. 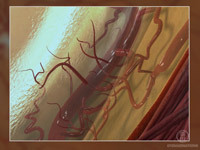 later drain into the vascular system. 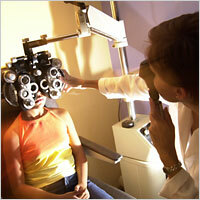 uncontrolled glaucoma, secondary glaucoma or for children with glaucoma. clear front cover of the eye. light. These symptoms usually appear in the late teens or late 20s. progresses, the cornea bulges more and vision may become more distorted. the cornea’s protruding cone-like shape causes a tiny crack to develop. no medicines that can prevent the disorder from progressing. to achieve and maintain good vision. In a few cases, a corneal transplant is necessary. are often still needed to correct vision. AMD. Caucasians are at higher risk for developing AMD than other races. may respond to laser procedures, if diagnosed and treated early. see the diet and nutrition section. focused correctly and distant objects look blurred. enter the eyes, focusing the images correctly at the back of the eye. entering the eye is focused. focused laser beam on the surface of the eye. their children will be nearsighted. increased chance their children will be nearsighted. more likely to develop nearsightedness. light rays to enter the eye. visual stress may lead to a permanent reduction in distance vision. the cause of the vision problems. the power of any optical lenses needed to correct the reduced vision. allow the clearest vision during a comprehensive eye exam. visual acuity is 20/20, although many people have 20/15 (better) vision. drops to determine how the eyes respond under normal seeing conditions. some of the eye’s focusing power may be hidden, eye drops may be used. distance and also clear vision up close. problems but also may enhance appearance. and care to safeguard eye health. 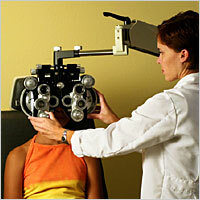 obtain clear vision for most of their daily activities. optical correction directly inside the eye. eye focusing ability and regain clear distance vision. objects clearly, but objects farther away are blurred. childhood or develop later in life due to an accident or illness. medical problem. However, the exact cause is often unknown. nystagmus usually does not require treatment. nervous system and metabolic disorders or alcohol and drug toxicity. eyes is in same in both directions. direction and then quickly “jerk” back in the other direction. multiple sclerosis or a blow to the head. which vision may be affected. or make it difficult to use both eyes together. primary care physician or other medical specialist for further testing. vision problems such as nearsightedness, farsightedness or astigmatism. lighting can also be helpful. it may reduce the amount of head turn needed for best vision. problems may help to improve or reduce nystagmus. with allergens and other irritating substances. detectable changes in vision or damage to the structure of your eyes. structures of your eyes to assess your overall eye health. examinations are essential to your overall eye health. of damage to your eyes. the clear membrane that covers the white of the eye. difficult for you to focus on close objects. actual loss of flexibility takes place over a number of years. Presbyopia usually becomes noticeable in the early to mid-40s. a disease, and it cannot be prevented. is more convenient and beneficial for your vision needs. cornea, the clear front surface of the eye. sensitive lining at the back of the eye, from the underlying tissue. by a slow loss of side vision. (thus the term tunnel vision). years for loss of vision to be severe. specific information on nutritional supplements that may help you. genetics may one day provide a prevention or cure for those who have RP. tenth most common pediatric cancer. families with a history of hereditary retinoblastoma should be assessed. key providers in the prevention and early detection of malignancies. vision in one eye, a condition called amblyopia or lazy eye. other times the left eye – alternating. develop due to other general health conditions or eye injuries. siblings who have strabismus are more likely to develop it. 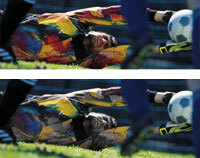 injury are at a higher risk for developing strabismus. accommodative esotropia and intermittent exotropia. doing close work, and tilting or turning of the head. exotropia may experience headaches, difficulty reading, and eye strain. see it clearly. “Normal” distance visual acuity is 20/20. determine the lenses that allow the clearest vision. difficult to use both eyes together. will be assessed using various testing procedures. some of the eyes focusing power may be hidden, eye drops may be used. compensate for and eliminate the eye turning. conjunctiva, the clear membrane covering the white part of the eye. several days, or up to several weeks, in some cases. general health problems such as rheumatoid arthritis, rubella and mumps. In most cases, there is no obvious underlying cause.